The Toy Museum of Catalonia is a space that is dedicated to learning and experiencing culture in which our heritage becomes a tool for education, socialisation and communication and is placed at the service of the community. The Educational Services department places the Museum’s resources at the disposal of educational, civic and cultural institutions in order to promote the exchange of learning experiences and the creation of synergies. 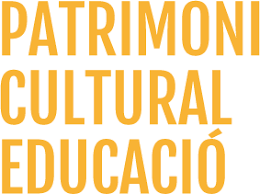 In addition to the programmes designed for education centres, the Toy Museum of Catalonia also offers a wide variety of educational leisure activities aimed at a plural, diverse audience with the intention of promoting t universal access to culture and learning. You can consult the Pla Educatiu d'Entorn de Figueres.